My plan is simple: join charter yacht Ionian Princess at the end of the Mediterranean Yacht Show in Greece, depart from Nafplion and cruise south towards the island of Spetses, before heading to Hydra, Poros and Aegina, en route for the yacht’s home base at Piraeus near Athens. 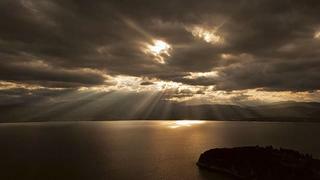 Nafplion, a two-hour drive from the airport in Athens, and nestled into the north east corner of the Argolic Gulf, holds a splendid position among the mountains and plains. The town itself – a one-time capital of Greece – is postcard pretty, with an extensive old town crammed with interesting boutiques, and enjoyable bars and restaurants. The town is overlooked by the fortress of Palamidi, originally built by the Venetians in the 17th Century. 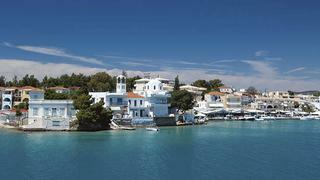 Our first stop after Nafplion is Spetses, nestling just off the southern part of the jut of mainland between the Argolic and Saronic Gulfs. On the way, we cruise past extremely private and very exclusive resorts on the Peloponnesian coast, and drop in on an anchorage headed by a stretch of sand, pine trees and the first of myriad tiny beachfront churches. 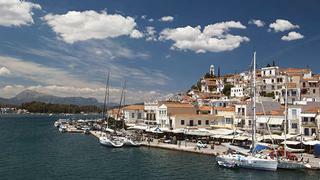 Spetses itself is moderately quiet out of the charter high seasonm in. We enjoy a cocktail with a sunset view from the penthouse terrace of the grand Posidonion Hotel overlooking the main quay, and explore the quiet streets. 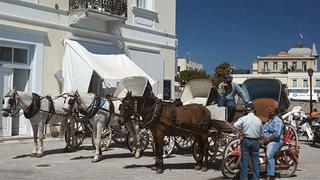 It is rare to find more than a handful of cars on many of these islands, and Spetses is one of the islands where private cars are forbidden. The following morning we set off once more with a chance to see some of the Greek Island’s secluded anchorages and inviting sandy beaches, before slipping around towards the picturesque Porto Cheli. The whitewashed waterfront stands out against the azures of the water and sky, but we don’t have time to stop: we are heading for a nearby anchorage where we can enjoy all the toys and facilities of Charter yacht _Ionian Princess _before heading to a deserted beach, where the wonderful crew has set up a beach barbecue. Of course, for a yacht that is one of the best-known in this region and which has notched up close to 100 charters in nine years, barbecue is perhaps not quite the right word. 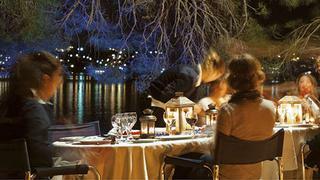 The crew have set up a full-service candlelit dinner, with a beautifully set dining table under a giant tree. The chef has his own cook station, and the crew serve us from a temporary bar. Coloured lights in the tree and sea provide a magical ambiance as Ionian Princess swings to her anchor a short hop off the beach. It’s a once in a lifetime meal in a stunning location. The following morning, our whistle-stop tour continues, and we cruise via the island of Hydra, nudging into its amphitheatre of a town for a nose around. You can moor a large yacht here stern-to on the outer breakwater, where concrete strips have been laid across the rocks for easy disembarkation. Already a throng of visitors is ashore, no doubt drawn by the stunning setting, as well as the fact that donkey and boat are still the only ways to get around – even bicycles are banned here. After another short stop for a swim in an anchorage through the Poros channel, we head to Poros itself for our last night on board. A popular destination with yachts large and small, the ample quay space – certainly for our early season visit – means we are in prime location to explore the vibrant town with its streets that climb steeply from the harbour front. I can’t help but think that our visit, outside the main summer tourist season, shows off the town to its best; a sunset drink in a waterfront bar provides the perfect moment to reflect on this stunning area of Greece. As we set out the following morning bound for Athens, we take the chance to drop in on Aegina, which offers more beaches to explore along with ancient ruins, some of which date back 3,000 years. All too soon, however, it is time to leave the tavernas, inviting waterfront restaurants and hanging octopuses and head back to Ionian Princess for the hop across the bay to Athens. Our brief trip has nonetheless been an eye-opener in terms of what this cruising area has to offer, and it is with sadness that we leave our wonderful crew and sumptuous yacht to head to the airport once again.